I got up early on the day to walk the dog and discovered a village covered in frost and ice – our first proper wintry morning. The cold and frost lingered for the rest of the day but that didn’t put anyone off and it was so lovely to see everyone wrapped up in their woolies. This year I had two locals as visiting artists, who unfortunately couldn’t show in their own homes. 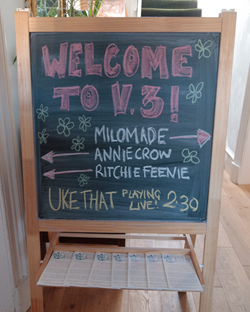 So instead Annie Crow and Ritchie Feenie took over my living room and I spruced up my studio into shop mode once more. Unlike last year where we had over 300 visitors through the door in a heaving mass, some buying, some just doing the trail and collecting stamps, this year we had a steady stream of folk throughout the day and I think I actually got to talk to everyone and nothing seemed rushed or stressful. It was just such a lovely day. 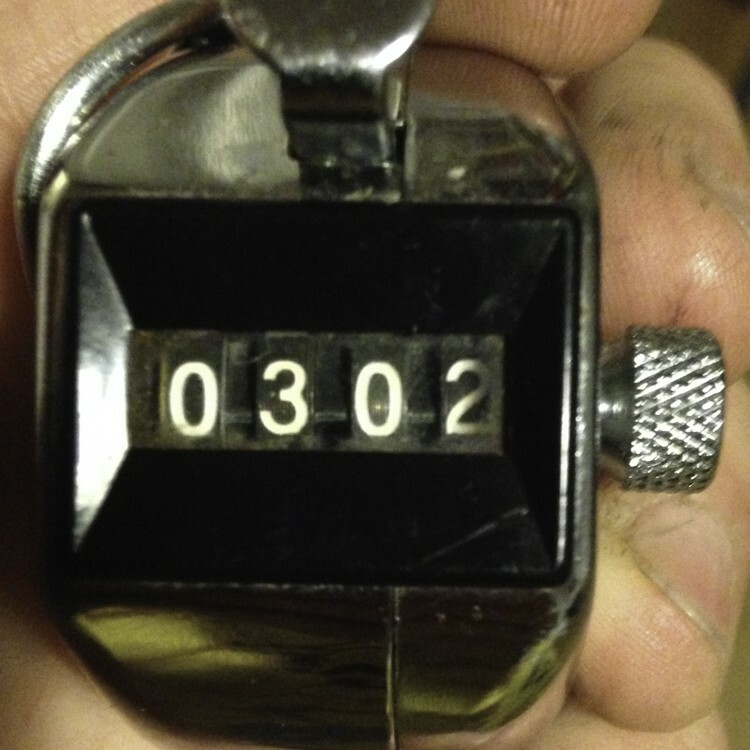 Fewer numbers, but more focused, resulting in more sales, more in depth conversations and discussions and a more relaxed feel all round – just the way I like it. 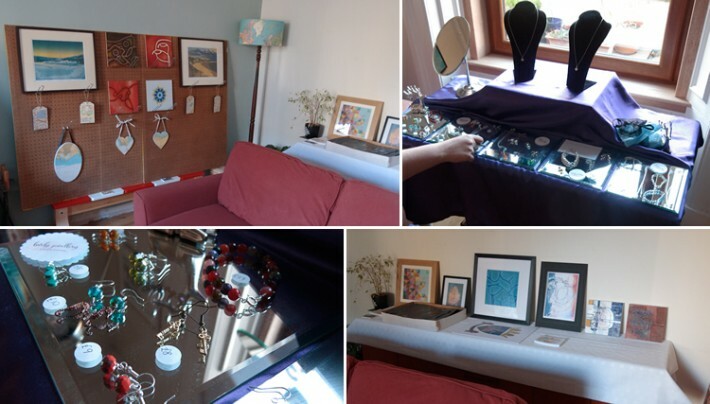 It took me ages to get my studio tidy and get all my work on display and I have to admit I was up to 3am the night before pricing everything, but it was worth all the effort. It’s the first time I’ve had all my products with their new packaging out on display. I was so pleased with how it all looked and got some great feedback from visitors. Unfortunately I didn’t get any decent photo’s as I was too busy. I think customers really appreciated the fact that everything was beautifully packaged. People come to Round The Horn to start their Christmas shopping and this year I think I succeeeded in showcasing my products as gifts and this defuinitely has a positive outcome on sales. 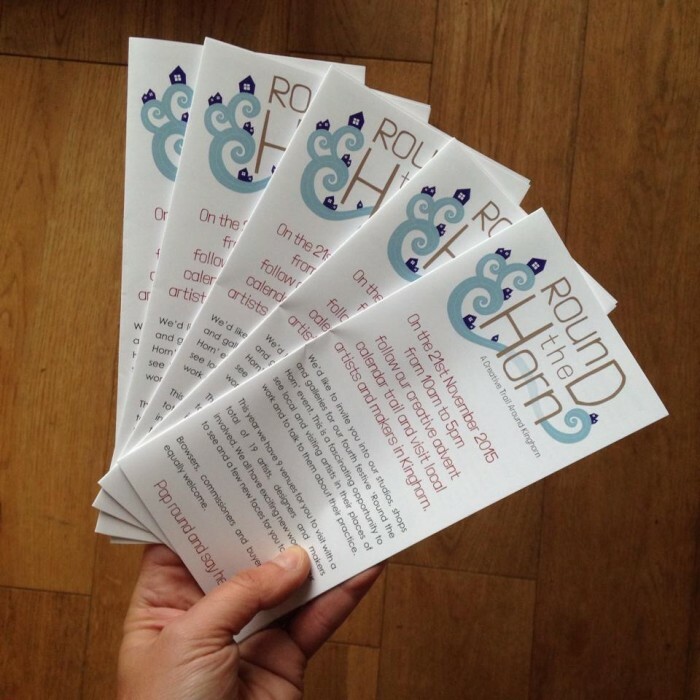 We have a great local Ukelele band in Kinghorn called Uke That and they also took part in Round the Horn this year. They did a mini tour of venues throughout the day and played live at my house at 2.30 in the afternoon and were abdolutely brilliant! 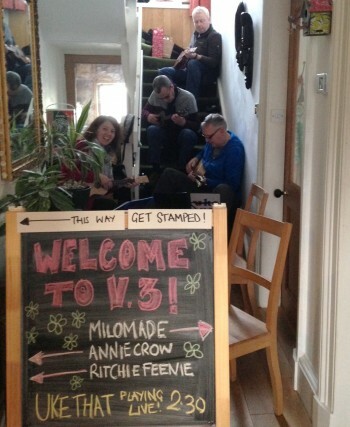 They perched themselves on the stairs and played several songs and my son now wants a ukelele! I’ll have to ask Santa! Uke That were the icing on the cake and topped off a fabulous day. After playing at mine they headed off to the gallery to play their final set of the day and after we closed at 5pm we headed there to join them as did everyone else involved in the event. After a few drinks we put all the completed prize draw stamping sheets handed in on the day into a large bag and pulled out the lucky winner. Pam Menzies was the winner of our Christmas stocking jam packed full of lovely goodies donated by the artists, designers and makers involved and she picked up her prize from the gallery the following day. This entry was posted in News & Events and tagged Kinghorn, Open Studios, Round The Horn.